Origin and Habitat: The natural species is widely distributed in Mesico from north of Saltillo, Coahuila southwards to San Luis Potosi. Also found in Tamaulipas, Zacatecas and Nuevo Leon. 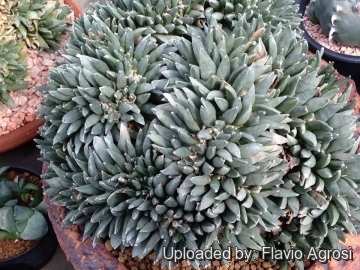 Description: Ariocarpus retususus commonly known as the "Star Rock" is one of the largest species that distinguishes for the fat triangular tubercles forming a starry rosette. 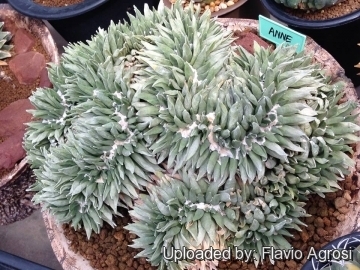 It is a widespread and extremely variable plant. Tubercle size and shape vary widely, a terminal areole is sometimes present at the tip. 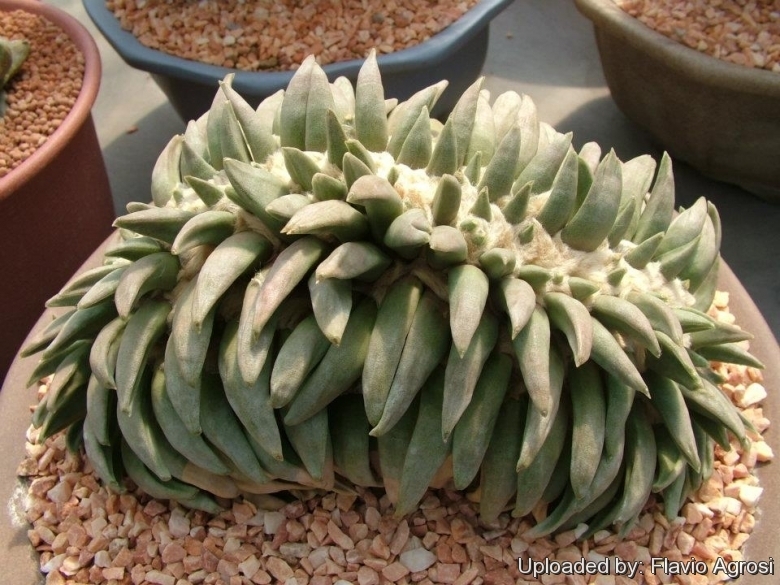 Crested form: The crested Star Rock (Ariocarpus retusus f. cristata) is a very rare, slow-growing and highly priced crested cactus forming odd sculptural shapes. Its stems fan out and can get very big making a spectacular specimen. 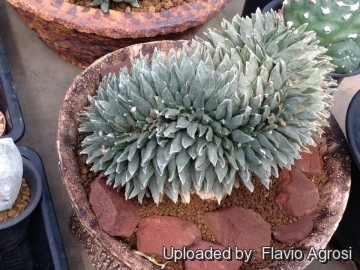 The crested form - despite to its beauty - is still very rare, pricey and sought after by collectors. 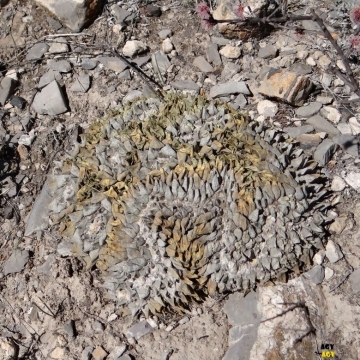 Habit: Solitary, slow growing geophyte cactus with tubercles slightly projecting above ground level. 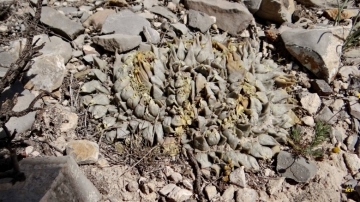 The tuberous body is mostly below the soil. Stem: Grey, or blue-green, fan shaped that will slowly forms brain-shaped cushion that can reach a considerable size (up to 3-12 cm high and 70 cm in diameter, or more).